This workshop is for students of yoga with some experience (at least 12 months). It is not for beginners or new students to yoga. The workshop will explore fundamental and essential principles of yoga practice in the context of their practical application. The aim is to provide students with an intelligent and safe reference for their ongoing yoga development. 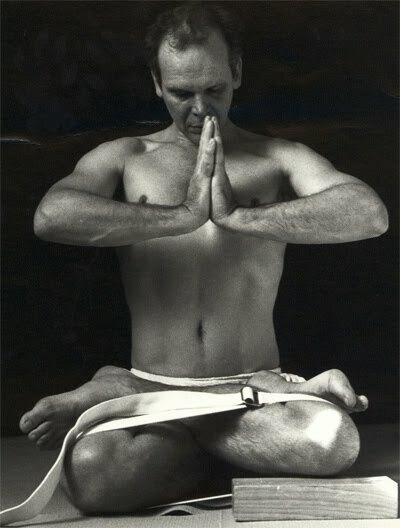 Peter is a very experienced and highly skilled teacher of yoga in the Iyengar tradition. The opportunity to receive this guidance from him is a valuable opportunity for those seeking to establish themselves in the practice of yoga. Please fill in the registration form or call us at +65 64422881. Please make cheques payable to OASIS HOLISTIC and post it to us. Places are confirmed upon receipt of payment. Peter has been practicing yoga since 1979 and a student of the Iyengar family since 1981. He has traveled to Pune to study at the Iyengar Institute well over 20 times and has been a participant in most special intensives and courses at the Institute over the years, including notably the backbend intensive with Mr. Iyengar in 1991. Peter is one of Australia's most senior and most experienced teachers and practitioners and has been heavily involved in the development of Iyengar yoga both in Australasian and more recently in South-East Asian region. This is so in terms of basic teaching but also in terms of teaching training and certification processes. Peter’s particular interest in the practice and teaching of yoga is the depth of perception, inquiry and understanding that sustained practice can develop and in making that understanding directly accessible to students so they can claim it as their own in their practice and in their lives.